Precious Pooch offers dog sitting and dog boarding services. Here at Precious Pooch we believe that kennels are too harsh an environment for your dog to stay in whilst you are on your holidays. Instead we believe in offering your pooch a vacation too! Taking your pooch into our homes, we will ensure that they have the entire one to one care and attention that they are used to. Our clients never worry when they have to go away as they always return to a happy pooch and are safe in the knowledge that they are in a loving environment, with a professional dog handler. 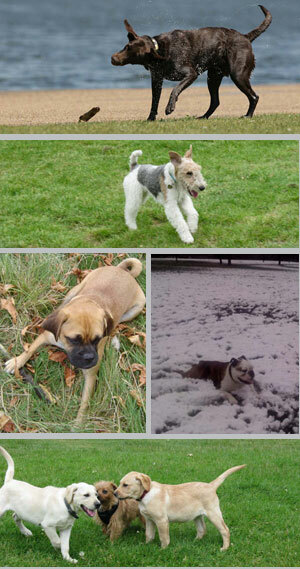 At Precious Pooch we have had dogs stay from one week to three months and have regular weekend visitors!